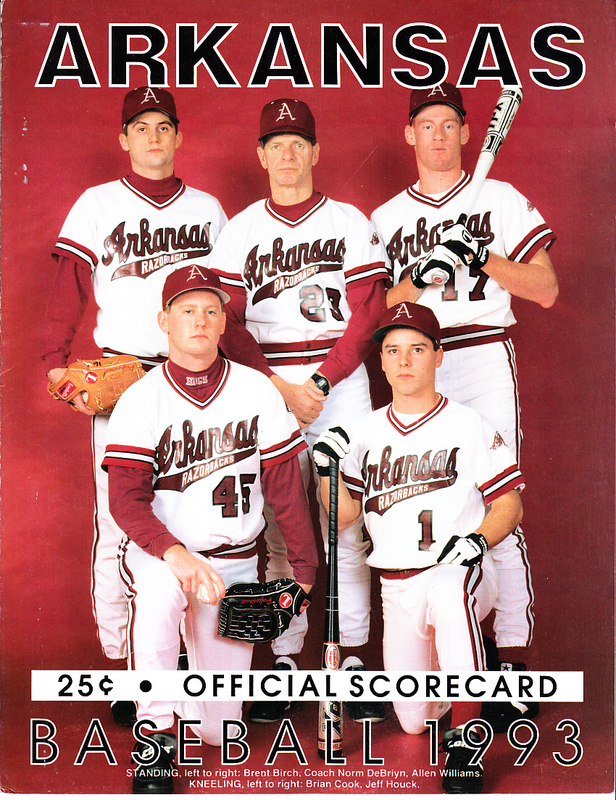 1993 Arkansas Razorbacks baseball original magazine size foldout scorecard featuring legendary head coach Norm DeBriyn. Has minor to moderate wear. NOT AUTOGRAPHED. ONLY ONE AVAILABLE FOR SALE.